We greet our old students who have returned to us for the Advanced Course. We feel that, hereafter, it will not be necessary to repeat the elementary explanations which formed such an important part of the former class work, and we may be able to go right to the heart of the subject, feeling assured that each student is prepared to receive the same. Many read the former lessons from curiosity—some have become so interested that they wish to go on—others have failed to find the sensational features for which they had hoped, and have dropped from the ranks. It is ever so. Many come, but only a certain percentage are ready to go on. Out of a thousand seeds sown by the farmer, only a hundred manifest life. But the work is intended for that hundred, and they will repay the farmer for his labor. In our seed sowing, it is even more satisfactory, for even the remaining nine hundred will show life at some time in the future. No occult teaching is ever wasted—all bears fruit in its own good time. We welcome the students in the Advanced Course—we congratulate ourselves in having such a large number of interested listeners—and we congratulate the students in having reached the stage in which they feel such an interest in the work, and in being ready to go on. We will take for the subject of our first lesson the Way of Attainment—The Path. And we know of no better method of directing the student's steps along The Path than to point out to him the unequaled precepts of the little manual "Light on the Path,” written down by "M. C.” (Mabel Collins, an English woman) at the request of some advanced mind (in or out of the flesh) who inspired it. In our notice in the last installment of the "Fourteen Lessons,” we stated that we had in mind a little work which would perhaps make plainer the precepts of "Light on the Path.” But, upon second thought, we have thought it preferable to make such writing a part of the Advanced Course, instead of preparing it as a separate book for general distribution and sale. In this way we may speak at greater length, and with less reserve, knowing that the students of the course will understand it far better than would the general public. So, the little book will not be published, and the teaching will be given only in these lessons. We will quote from the little manual, precept after precept, following each with a brief explanation. 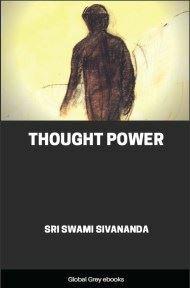 In this connection it may be as well to state that "Light on the Path” is, practically, an inspired writing, and is so carefully worded that it is capable of a variety of interpretations—it carries a message adapted to the varying requirements of the several planes and stages of life. The student is able to extract meanings suited to his stage of development. In this respect the work is different from ordinary writing. One must take something to the book, before he is able to obtain something from it. In "The Illumined Way” the work is interpreted, in part, upon the lines of the psychic or astral plane. Our interpretation will be designed to apply to the life of the student entering upon The Path—the beginner. 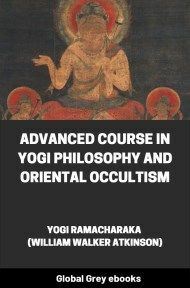 It will endeavor to explain the first several precepts in the light of "Karma Yoga,” and will then try to point out the plain meaning of the precepts, pertaining to the higher desires; then passing on to an explanation of the precepts relating to the unfoldment of Spiritual Consciousness, which is indeed the key-note of the little manual. We will endeavor to make a little plainer to the student the hidden meanings of the little book—to put into plain homely English, the thoughts so beautifully expressed in the poetical imagery of the Orient. Our work will not contradict the interpretation given in "The Illumined Way"—it will merely go along side by side with it, on another plane of life. To some, it may seem a presumptuous undertaking to attempt to "interpret” that gem of occult teaching "Light on the Path’’—but the undertaking has the approval of some for whose opinions we have respect—and has, what means still more to us—the approval of our Higher Self. Crude though our work may be, it must be intended to reach some—else it would not have been suggested. These rules are indeed written for all disciples, and it will be well for us all to attend to them. For the rules for the guidance of occultists have always been the same, and will always remain the same—in all time—in all countries—and under whatever name the teaching is imparted. For they are based upon the principles of truth, and have been tried, tested and passed upon long ages ago, and have come down to us bearing the marks of the careful handling of the multitudes who have passed on before—our elder brothers in the Spirit—those who once trod the path upon which we are now entering—those who have passed on to heights which we shall one day mount. These rules are for all followers of The Path—they were written for such, and there are none better. They come to us from those who know.